Lyft has officially entered the public transit space with the launch of Nearby Transit, a feature currently available just in Santa Monica, Calif. This comes just a couple of days after Lyft deployed electric scooters in the city. Today, Lyft customers in Santa Monica will see the Nearby Transit option, which includes route information and schedules for the Big Blue Bus, LA Metro and Metrolink. The feature is in partnership with Trafi, a transit information platform. “Building on the launch of Lyft Scooters in Santa Monica this week, it’s another step toward providing effective, equitable, and sustainable transportation to our communities, and towards creating a more seamless and connected transportation network,” the company posted on its blog. 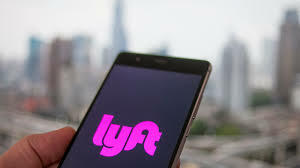 Lyft has also brought on Lilly Shoup, formerly of Nelson\Nygaard Consulting, to serve as senior director of transportation policy. In that role, Shoup will oversee Lyft’s multi-modal transportation efforts as they pertain to equity, land use, autonomous vehicles and more. Uber announced its public transit ambitions back in April, but has yet to integrate those offerings into the app. Whenever Uber integrates public transit, the company will take it a step further than Lyft by enabling people to purchase tickets, not just check routes.